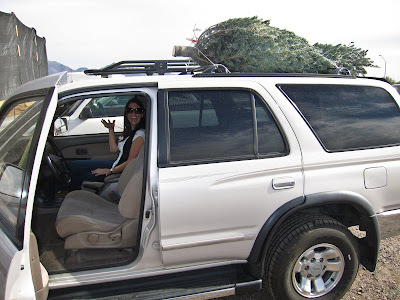 Although we had semi-cold weather when we chose our tree at the local lot last year, this year it was a balmy 78 degrees when we headed out in search of the perfect tree. It was quite odd to be wearing short sleeves, but it was very Arizona. 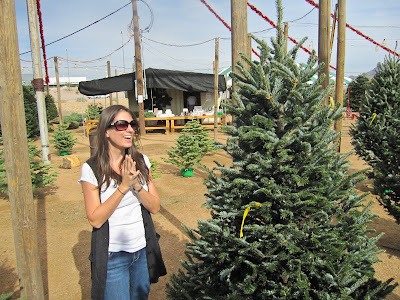 Max was a sweetheart again and let me choose the tree. 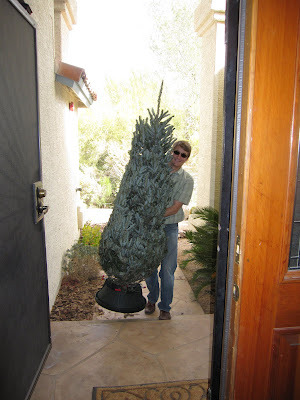 We went with a smaller one this year since it will be going in the den (we thought about putting it in the great room, but as it would be the only item in the entire room, we decided to instead put it in the den where we would see it more). A Wheaten Terrier! We have been debating getting a dog for a while, but always fall back upon the fact that it would make traveling so much more difficult. 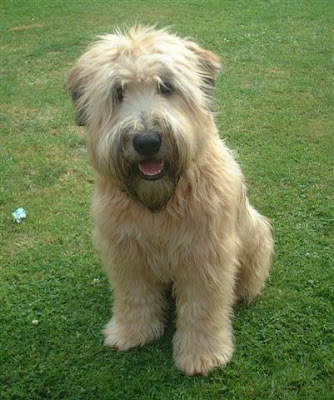 We could also never fully agree on a breed, until we discovered the Wheaten Terrier! It's big enough to hold its own in our backyard (we have been warned that small dogs can get snatched up by birds) and couldn't get more lovable! With our busy jobs it's probably more of a next summer idea, but we're loving researching all about them! P.S. Is this the background you wil have forever and ever, Amen? ;) Not bad, will give you cool thoughts next August!